Foam Roses from Craftslane. Add beauty and elegance to any project with these 3D flowers! Best gift which you must have, if you are going to express your love to the most special person of your life. It is a Bunch of 100 red roses in red paper packing and red ribbon. 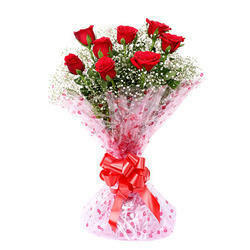 This bunch of roses from Flower mall shows your love and affection to your beloved and makes them feel special. 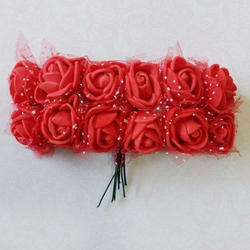 This is sumptuous gift for your loved one, a room full of 500 red roses. This is a gift to wow your sweetheart. Come and express your heartfelt emotion of love and affection this time with this lovely bunch which consists of a bunch of 10 Red Roses along with fillers and it comes in a beautiful cellophane packing tied with attractive Red ribbon.